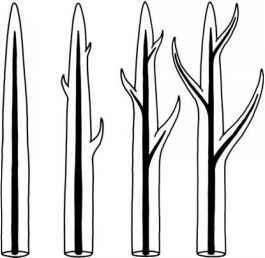 (microphylls) become vascularized and are borne in a regular pattern on the axis, for example as seen in Leclercqia (FIG. 9.1D ) . There are several fossil plants that represent intermediates between stages B, C, and D, and some of these are included in the Drepanophycales. 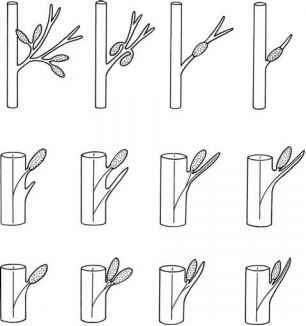 Kenrick and Crane (1997a) suggested several hypotheses on the origin of the lycophyte sporophyll, including reduction from a lateral branch (FIG. 9.2A) , fusion of a sporangium to an enation-microphyll (FIG. 9.2B), and sterilization of a second sporangium (FIG. 9.2C). A study of stelar and microphyll vasculature in two extant Lycopodium species (Gola et al., 2007) confirms the unique nature of microphylls, especially when compared to mega-phylls, the leaf type found in other vascular plants (see section "Evolution of Megaphyll" in Chapter 11). This study reveals that the production of microphylls and the architecture of the stele are not closely connected developmentally, as they are in seed plants. 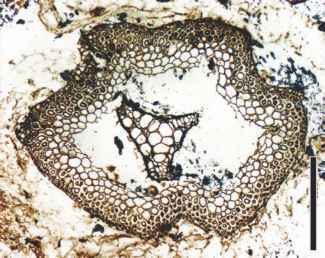 Based on these data, the authors concluded that the origin of the microphyll and the development of vasculature to supply the leaf in the lycopsids may have evolved independently, a theory which is supported by many of the plants discussed in the next section.